Today, manual storage of patient data and operations in the healthcare setting is nothing more than a passé. Effective incorporation of technology has set the industry free from all conventionalities like recording and storing patient details, bills, reports and transactions documents in loose paper sheets or endless day-today operations. Companies are pouring out their innovations around Electronic Health Records (EHR) to assist the endless list of big, medium and large-sized consumers in the medical eco-system. Technology companies have recognized the need for scalable, cost-effective and interoperable solutions to manage patient handling, data storage, data accessibility and billing transactions. These solutions emerge as rescue amidst the tumultuous load of adhering to stringent regulations and government policies on the technology aspect of healthcare. Governed by the existing laws including the Health Insurance Portability and Accountability Act (HIPAA), the Affordable Care Act, and the FDA Safety and Innovation Act, the solutions also enable easy attestation and meaningful use of necessary documents without having to undergo massive variations in work flow. In this ecosystem, consulting providers are also playing a huge role by integrating the service providers with potential customers whose operations are based beyond national borders. Large hospitals, emergency care units, small clinics, independently managed health setting, doctors, physicians, and even patients enjoy the luxury of time and energy after moving on to the novel and mobile services in healthcare. Meanwhile, these technologies are enabling the payers to better align themselves to the wellness programs offered to members. In this edition of CIO Review, we bring to you “20 Most Promising Healthcare Tech Solutions Providers 2014”, featuring the best solution providers offering technologies related to Healthcare. The companies listed here showcases extensive business knowledge and innovative strategies combined with talent base across locations. A distinguished panel comprising of CEOs, CIOs, CMOs, VCs, analysts and CIO Review editorial board has selected the top players from over thousand companies. The listing provide a look into how solutions for healthcare sector work in the real world, so that you can gain a comprehensive understanding of what technologies are available, which are right for you, and how they overcome competition. AlphaCM A provider of client management or billing products and services to mental health providers and managed care organizations. Casenet Casenet delivers unmatched flexibility to coordinate care management programs using our comprehensive and extensible, enterprise care management platform and integrated care management workflows. DataLocker Provides encryption solutions for storage devices, media, and cloud storage. eClinicalWorks Provider of ambulatory healthcare IT services in the U.S. with cloud-enabled technology on mobile devices for better access to healthcare and patient records. GlobalMed A global manufacturer and designer of telemedicine solutions. 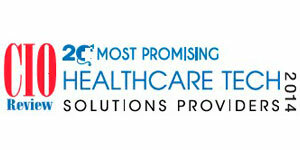 Greenway Health A provider of innovative information solutions tohealthcare organizations. Hyland, Creator of Onbase OnBase is a flexible and comprehensive content management system (ECM) solution that helps organizations manage documents, data and images to stream line business and clinical operations. Infina Connect Provides cloud based digital health solutions to address specific problems with healthcare cost, outcomes and risks. Meridian Medical Management Provider of revenue cycle, business intelligence, EMR, and system integration services for multi-specialty physician and academic practice groups. Modernizing Medicine Providing Electronic Medical Assistant (EMA), a cloud based, specialty-specific electronic medical record system to save physicians time. NaviNet NaviNet connects close to 40 payer customers with 60 percent of the physicians in the U.S. The NaviNet Open platform supports value-based reimbursement and clinical workflows. Nihon Kohden America A manufacturer of instrumentation for Patient Monitoring, Sleep Assessment,Neurology and Cardiology. Novarad Corp Offers Diagnostic Suite that includes options for PACS, RIS, VNA, radiation dose monitoring, and other specialties. RazorInsights RazorInsights offers comprehensive health information management solutions from a single data platform—ONE-Electronic Health Record®,that integrates both clinical information and financial management across all functional areas of hospitals and other medical practices. Sandlot Solutions Provider of clinical interoperability and community health management solutions,including data analytics tools and services. Vivify Health Provides cloud based connected care solutions for patient monitoring, education, communications, and more.